New research suggests that the British media's coverage of the EU referendum is failing to reach groups outside of middle-aged to elderly men. 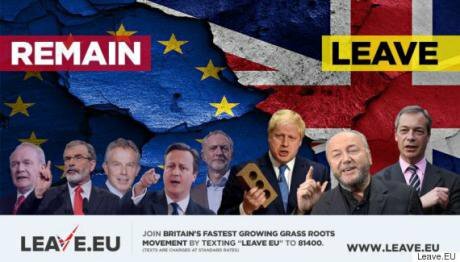 There are now less than four months to go until the EU referendum. Yet all the signs are that the hard facts of the debate are not seeping through to the public. So far the discussion has been dominated by internal party politics and personalities – where an MP backing the in or out side means a media-dominating rift in this or that party. The debate, when not focusing on individuals and spats, has largely been confined to stat-throwing on either side. Last month Mike Berry argued on OurBeeb that "the public is currently hampered by an information deficit which threatens their ability to make an informed decision at the ballot box". Berry noted that the Electoral Commission recently found that most voters’ “personal understanding of how the EU worked was low” and that they felt “under-informed about the EU as an institution, as well as about the arguments for and against the UK remaining a member”. At the same time, research has found that EU-related reporting outside of summits and elections is “relatively sparse.” The result is that the referendum becomes a Westminster parlour game – rather than the crucial constitutional matter which it is. We know that, when it comes to European referendums, political information conditions the way people vote. Those with high levels of political awareness rely more on their own informed views, rather than government assessments or partisan cues – something verified by the experience of Danish, Norwegian and Irish referendums. And while it is thought that referendum campaigns increase political knowledge, findings released this week have added to the growing evidence of the very low base of political awareness, even at this late stage. The polling, by BMG Research, shows that only one in six people feel well informed about the upcoming EU referendum. Breaking it down, only 12 per cent of the public feel ‘well informed’, while only four per cent feel ‘very well informed’ about the June vote. In contrast, nearly half (46 per cent) feel poorly or very poorly informed about the vote. This falls to 38 per cent among those who say they will definitely vote in the referendum, rising to 61 per cent among those who say they probably will not vote. The disparity suggests there is a link between how much people feel they know about the referendum debate and how likely they are to vote. Released today, on International Women’s Day, the BMG polling also shows a huge gender gap. Men are twice as likely to feel well informed than women (21% vs 10%). While there are a range of factors at play, it suggests the campaigns – and media coverage of those campaigns – aren’t reaching out of the Westminster bubble or targeting groups outside of middle-aged to elderly men. There is also a serious generational divide – more than double the number of 55-64 year olds feel well informed (21%) about the referendum compared to 18-24 year olds (10%), suggesting that young people will be less likely to vote on polling day – something that is already a serious problem in general elections but may now be exacerbated. The mounting evidence about the worrying state of informed and deep public debate (or lack thereof) ahead of June 23rd should serve as a wake-up call to politicians, parties, public bodies and everyone involved in the referendum to do all they can to boost public knowledge and engagement in this crucial vote. During the Scottish independence referendum, we witnessed what can happen when people feel informed about an important decision and empowered to take part. People do want the full information they need to get to grips with the EU referendum debate, and for the space to have those discussions, but it is so far clearly lacking. The campaigns have a responsibility to listen to voters and engage with them, as well as to broadcast their views. Moreover, in a close referendum, turnout will be key – so it’s in the campaigns’ interest to provide a platform for a rich and stimulating debate. There is a clear link between how well informed people feel and their likelihood to vote. So the five recommendations set out above could – if adopted – help open up a real conversation among the public about the issues surrounding Britain’s membership of the European Union. This will require commitment from media organisations and others to put forward both sides of the debate - in clear and understandable ways. But it will also require getting across the wide range of sides within the camps themselves – after all, the ballot paper may only have ‘Remain/Leave’, but there are a world of perspectives within each campaign. Over and above their legal obligations for impartiality, broadcasters and outlets - in particular public service broadcasters like the BBC - have a duty to emphasise the issues over the parlour games. And time is not on our side - they need to get this across in the few short months available. Now let’s take the conversation beyond Westminster and Fleet Street to town halls and communities across the UK.